Circle is one of the big dogs of bitcoin, with almost $30 million in funding and a well-connected CEO, but until now the company has waited to show everyone what it’s doing. On Monday, though, it finally invited the general public to try out its digital currency platform. So what is Circle all about? On the surface, it looks a lot like rival Coinbase, with an appealing interface and the promise of “instant and free” ways to move money around. CEO Jeremy Allaire, however, says Circle is distinct because it is the most consumer-friendly bitcoin service to date, and one that will finally convince the average person to get on board. But Circle — and bitcoin in general — still have to show that they are relevant, especially at a time when a host of other players, including Apple, are likewise trying to transform how we move money and pay for things. 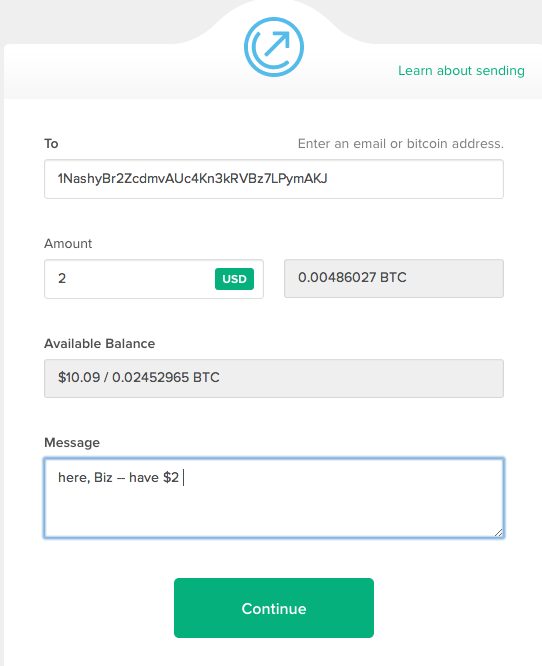 I spent part of Friday test-driving Circle: sending small amounts of money to email and bitcoin addresses within Circle; linking a bank account; making payments to companies outside of Circle. As promised, Circle is elegant and easy to use with a simple interface and a straightforward list of transactions. It also offers two security features — two-factor authentication and insurance — that are now considered table stakes for serious bitcoin companies. Significantly, Circle’s public launch on Monday was worldwide, with websites in seven languages — English, Chinese, Japanese, Portuguese (Brazilian), Spanish (Latin American), German, and French — that all display bitcoin transactions in local currency. According to Allaire, the average person is more comfortable seeing money arrive in dollars or euros than in fractions of a bitcoin. Overall Circle is a nice offering, but one that is not at first blush all that different from Coinbase in appearance or functionality. Like its San Francisco-based rival, Circle offers its own exchange, where customers can immediately swap dollars for bitcoins once they have opened an account (a process that takes several days due to creaky banking protocols). Also, both companies operate internationally, as Coinbase opened in 14 countries earlier this month. Likewise, both have native apps, though Circle’s apps will only be available publicly in the near future. Another small difference between the two companies is that, unlike Coinbase, Circle absorbs the $0.15 ACH fee that banks charge for moving money between accounts. And while Coinbase offers a payment processor for merchants, Circle is entirely consumer-focused. Good article @jeffjohnroberts, but you missed a material difference between @circlebits & @coinbase: +1.5% fees on every buy/sale via CB. Circle has created a consumer-friendly way to get and use bitcoin, but so have Coinbase and another well-funded rival, Xapo. Circle’s relatively late entry to the game could make it hard for the company to attract customers, since the number of people interested in virtual currency is limited, and those who are have likely signed up with someone else already. But competition may not be Circle’s biggest worry. Instead, the company, along with every other bitcoin enterprise faces an existential challenge that goes to heart of bitcoin itself: who, outside of a small group of digital currency enthusiasts, wants to embrace bitcoin in the first place? The question is especially pertinent since bitcoin’s ongoing volatility makes it an unreliable store of value. Who wants to wake up and find $100 they put in their bank dropped overnight to $90? Meanwhile, person-to-person payment apps like Venmo are becoming popular with younger people, and it’s unclear why these users would jettison their existing apps to use a bitcoin-based system instead. If the general public is suddenly going to embrace new forms of payment, it’s far more likely they’ll turn to those based on the impending Apple Pay, rather than Circle or Coinbase. Allaire acknowledged that volatility is an issue for bitcoin. He also agreed that consumers are more familiar with [company]Apple[/company] and Venmo than with bitoin, but suggested that those companies stand for different use cases. What is Circle’s use case? Allaire repeatedly drew attention to “globalization features,” which suggests that Circle is likely betting on the international market, and on more people using bitcoin as a remittance tool. Circle’s multi-lingual interface has the potential in the long run to help immigrant communities send money to relatives in China, Brazil or Argentina. Meanwhile, if Circle has a competitive advantage, it is the company’s buttoned-down approach to every stage of the regulatory and compliance process. Allaire has said all along said that bitcoin must exist within the existing banking system, not outside of it, and his company may be one of the few bitcoin outfits that has the capacity to navigate the expensive set of rules and regulations that bog down international money movement. While Circle is now open to all, Allaire remains close-lipped about how the company will make money. The best guess, especially in light of its global aspirations, is that Circle’s income will depend on taking a small cut when users exchange bitcoins for fiat currency. But for now, its biggest concern is likely getting people interested in the bitcoins in the first place. This story was updated at 9am ET to note the fee difference between Coinbase and Circle.